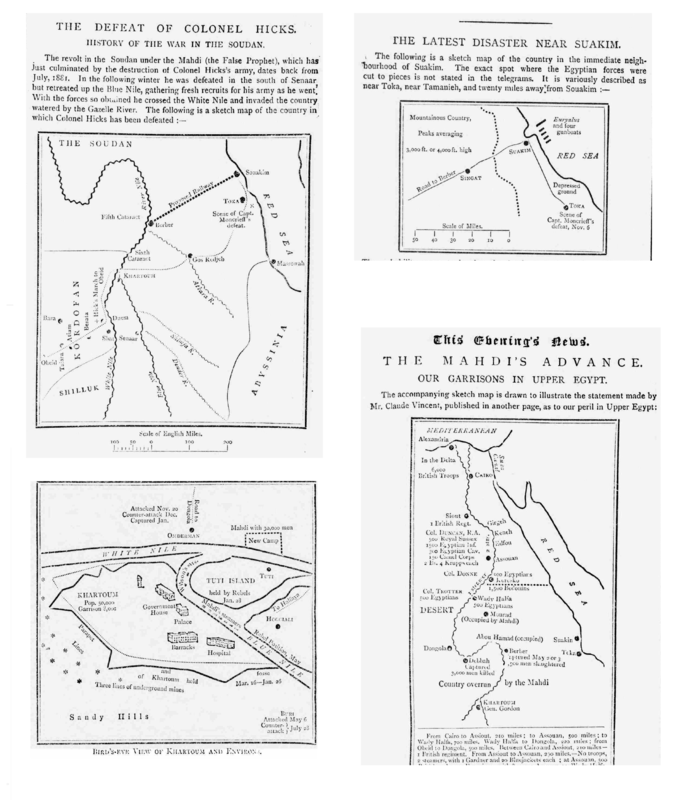 William Stead, Mapping the Madhi rebellion in the Pall Mall Gazette, various scales, (London, 1883–1885), in The Pall Mall Gazette (clockwise from top left: November 22, 1883, p. 11; July 4, 1884, p. 7; December 10, 1884, p. 4; February 6, 1885, p. 8). Image © The British Library Board. All Rights Reserved. Images reproduced with kind permission of The British Newspaper Archive.